+ What is the turnaround time on quotations? + What is the turnaround time on finishing job's? + Do I need artwork to enable you to give me a quotation? Yes , we don't have graphical designers to draw up artwork. + In wich file format can i send my artwork? Preferably CorelDRAW 14 or a editable pdf. + What is your payment structure? 50% deposit and outstanding balance on delivery/ collection. 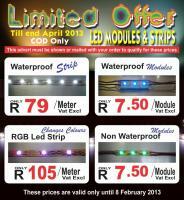 Arangements can be made, areas out of the boundries of Pretoria will be charged a additional fee. + Do we make use of courier services? Yes, we make use of courier services. + Can we order out of the borders of South-africa? Yes, we have an exporters code.